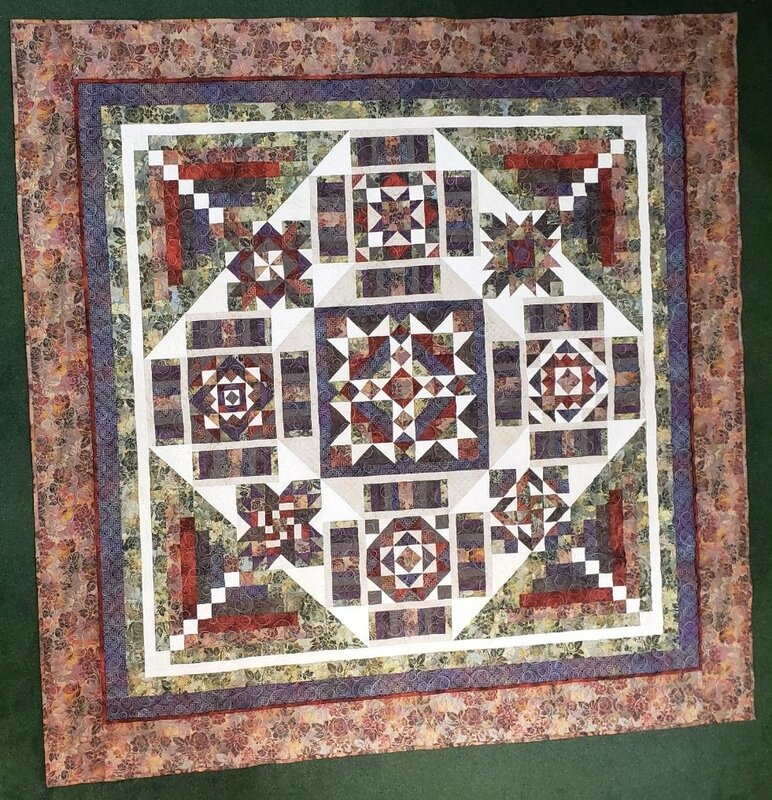 Home > Kits > Panel Kits > Moonlight Sonata Remix Kit with Pattern 103" x 103"
Revived from an old favorite pattern here at Quilts and Quilts, Moonlight Sonata Remix is amazing with all new colors, but the same impressive piecing as the original. Kit includes the pattern plus the fabric to make the top and binding of one King quilt with a finished size of 103" x 103". For intermediate quilters and above.